During week-4 at City Camp, the theme was “Animal Planet”, where we took a look at many different types of animals in our world. 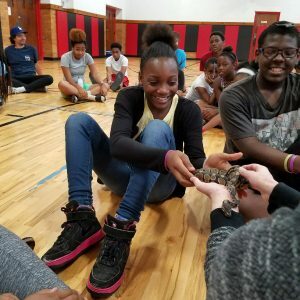 We quickly learned that some of our students prefer furry friend animals like dogs and cats, while others prefer more exotic animals such as tigers or bears, and yet others – creepy crawlers like snakes! 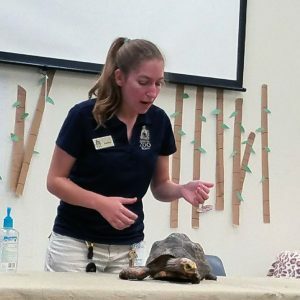 We were fortunate enough to have some animals come visit us this week from the Kansas City Zoomobile. 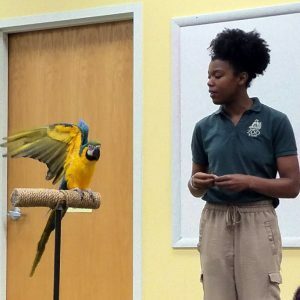 Students were introduced to a variety of animals from a soft, furry chinchilla, to a scaly South American constrictor snake, and a beautiful, brightly colored macaw. Zoo staff told us about their natural habitats, and how the zoo works to protect these animal species. Truly, animals are amazing creatures and come in many shapes, sizes, and colors. It’s also true that they are the handiwork of God, and created for our enjoyment and to point us back to Him. While I’m much happier and safer running and playing with my Chihuahua doggies at home than I would be for example, running from a charging rhino on a safari gone wrong, it is easy to see and appreciate the uniqueness and abilities that each animal species possess. 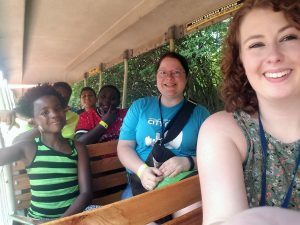 Later in the week, we were able to explore some of those more exotic animals like the rhino on our visit to the Kansas City Zoo. One of our group’s favorite field trips! 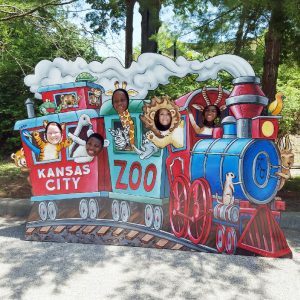 We can’t thank the Kansas City Zoo enough for welcoming our group as we enjoyed the park again this year. In our devotions we continued learning about the life of Jesus, and specific statements He made about Himself and the miracles He performed. Jesus demonstrated His divine power over creation, and performed miracles to demonstrate that power, and point people back to God the Father. Jesus stated that He is the “Bread of Life” and then fed the 5,000, starting with just a couple loaves and fish. Jesus said He is the “Light of the World” and healed a man born blind. He opened the eyes of one who could not see! He stated “I Am the Resurrection and the Life”, and raised his friend Lazarus from the grave. Though Lazarus had seen death, he lived again! The same Jesus who performed those miracles through His divine power, is still powerful. He too, provides for us. He wants to open our eyes to see light, and as He has conquered sin and death, He offers us new life, though we were dead in our sins. Finally, we also learned that Jesus spoke of Himself as the “Good Shepherd”. Sheep are interesting animals, and we know that without a shepherd they are left defenseless and without direction. We too can lose our way and are like sheep in a sin filled world that is full of dangers, troubles, and snares. But like sheep with a shepherd, Jesus offers to be our Good Shepherd, willing to lay down His life for our sake, to lead us to green pasture. Simply, Jesus wants what is best for us. That’s the gift He offers, and much like sheep that can find contentment and joy in a shepherd that cares for them, Jesus offers us contentment and joy when we choose to follow Him.